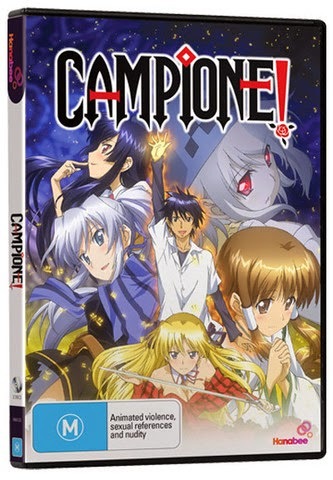 "Campione" is an animated romantic action series about a boy named Godou Kusanagi whom travels to Italy as part of a request to return a stone tablet to it's rightful owner. Not long after stepping into Italy he is held up at knife-point by a Blondie beauty named Erica Blandelli and she wants the slab. 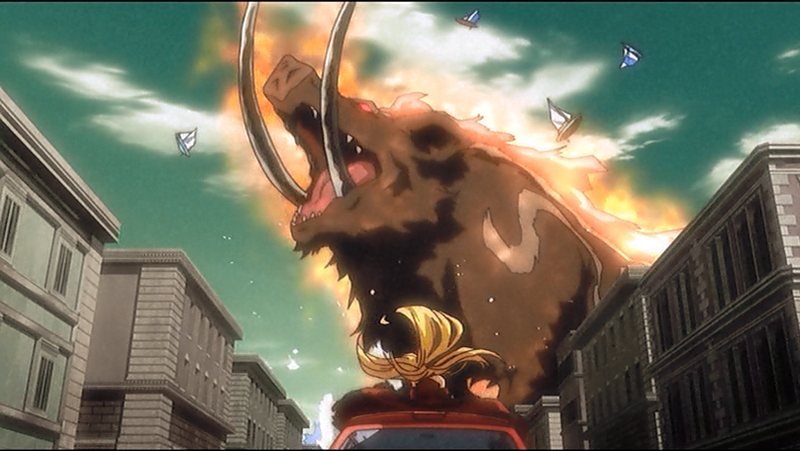 Lucky for Godou a huge giant being known as a "Rogue God" attacks Italy. After the battle he starts to travel to his destination and then he is met with a mysterious stranger saying that the stone tablet is meant for him. Godou makes it to his destination and meets up with a mysterious horny woman named Lucretia Zola. 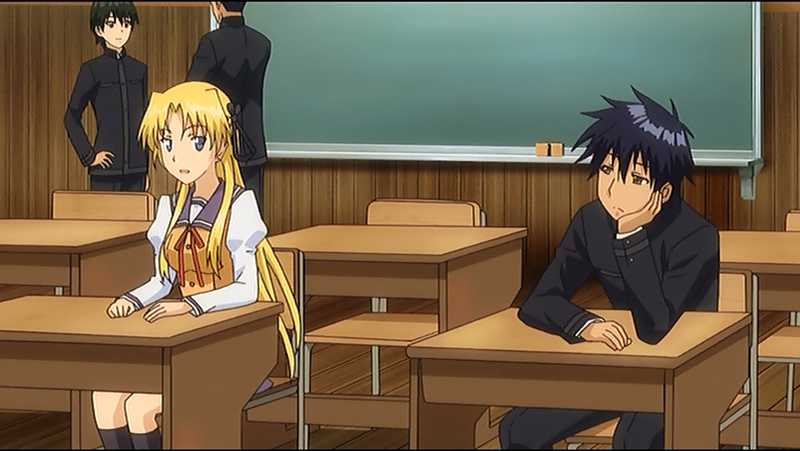 Godou tells Lucretia about the mysterious person he met only for her to tell him that the mysterious stranger was a God and that she agrees that the stone tablet is meant for him. Later that night he tries to socialize with Erica (in a clean way) only to find that she doesn't like him but shortly after they are caught in a storm where they see two Gods about to collide in battle. Erica tries to calm them down but is then caught up in the battle only for Godou to get dragged in also. Erica and Godou battle the Gods and in typical anime fashion we see convenience kick in when the stone tablet activating giving Godou power. Godou manages to not only defeat the Gods but he also earned a rank of "Campione" which ranks him up to king like status. Godou returns to Japan but only to see that Erica has also traveled to Japan as she has developed strong feelings for him. Erica isn't the only one after his heart as there are quite a few female teammates that are also after his heart leaving you with a classic case of "Haremitus", AKA "Harem Comedy Action Show" (I should make that an anime series of my own). (Click "Read More" to read the full review). The story writing in this show was very average to where I wasn't caring for it what so ever as there wasn't anything there to grab a hold of to keep me caring. Some of the scenes in this show were written very sloppy and really needed to be tighter as those scenes came off as cheesy as all hell. Another problem I have with this series is with the episode count as they don't give you any time for the story to develop as they rush through all of the story-arcs instead which is the biggest reason why the story is average. This kind of show is much better suited for a season of twenty-four episodes" or cut it down to the important story-arc and make it a two hour movie or an OVA mini-series. While the story is very average, action in this show is very decent with very well choreographed fights (or "well designed" in this case) that got me very excited and drew me into the show... Until the lame harem scenes kick in again. I wasn't a fan of all the fight scenes as there were some that did drag on due to mixing in drama and it got very painful to watch as the drama was long winded and I wasn't caring at all for it, not to mention that you don't get anything out of the drama due to how dull it is. See as this is a harem show you can expect this show to have a decent amount of fan-service of the sexual kind. Minus a few shots I wasn't a fan of the fan-service in this show as it was very forced, predictable, and was executed poorly to where it got too much to bare. Characters in this show were very generic to where it's like they weren't even trying to come up with anything original. I'm not saying that I didn't like any of them but that's not to say that I liked them also as I feel very indifferent towards most of the characters. Art-work in this show was pretty good looking with clean background and character designs. I liked the backgrounds in this show as they had some decent detailing and really helped with the atmosphere of the show whether it'd be for the good scenes or the bad scenes as it does it's job well. There were some solid character designs that are easily recognizable and I'm also a fan of the designs for the Gods and Creatures as they helped give the action scenes an epic atmosphere. Animation in this show is varied as it ranges from decent to choppy but nothing bad enough to annoy you. The Japanese dub in this show was decent with voices that worked with all of the characters. The acting was decent for the most part but there were a few scenes where the acting sounded rushed. I did like how when the characters were in Italy they spoke Italian and Japanese when in Japan as it adds some authenticity although don't expect many parts where you see Italians speaking their native language. 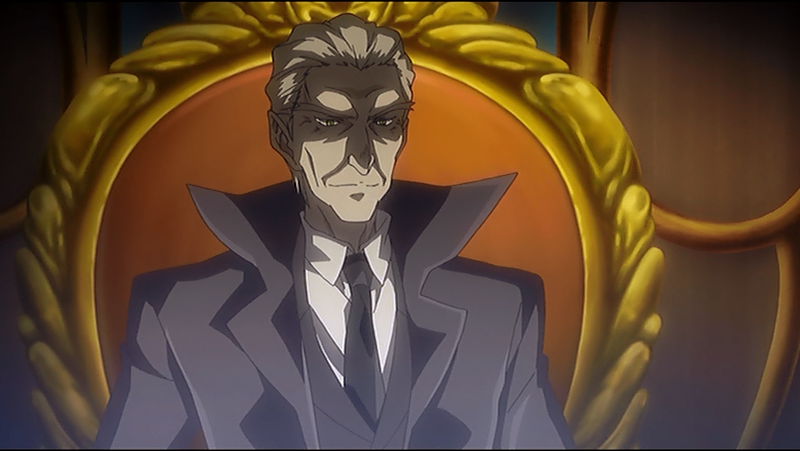 The thing I liked the best about the Japanese dub was the "Narrator" as his voice sounded epic and the parts that voice appears in were awesome for the voice alone. If you're not interested in watching this show subtitled then I recommend you watch this show with the English dub on but I didn't watch he dub because I don't like how "Sentai Filmworks" are lazy with their translations for their dubs. The soundtrack in this show had some decent tunes in it but there were a lot that were forgettable. Nothing much to be found in the special features section as all you get is a promotional trailer that makes the show seem way better than what it is as it's mostly clips from the action scenes. You also get text-less opening and closing credit sequences and they both have some good music although only the opening credits has decent visuals to go with the music while the closing credits had some boring visuals. I was a bit disappointed that the text-less opening credits didn't include the epic opening speech describing the main character in a very heroic matter. Overall I'm not going to recommend this show as it is more bad than good. 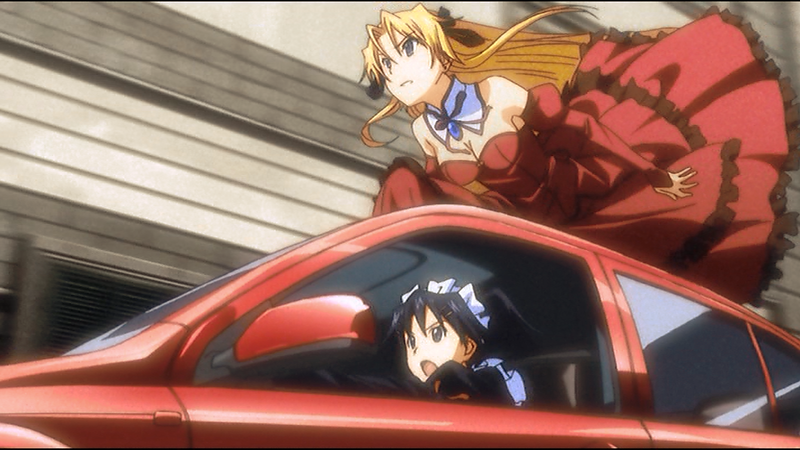 If you had to watch this show then I'd suggest watching this show on streaming services like "CrunchyRoll" or on "Hanabee's" website when this show hits their on-demand section* and that's just to check out the action scenes but even that's a stretch. Average story, decent action. *Note: I have no idea if Campione is going to be on Hanabee's On-Demand Section so don't bother me about it... Although you should go to that section anyway as they have some nice titles that are currently streaming (ending cheap plug now). Barkers D&D 5th edition One Shot!! !